Whether you’re a brave Aries or an ambitious Scorpio, it’s always fun to see what the stars have in store for you: from career moves to creative goals to a lively love life, reading your horoscope can be a fun way to reimagine everything. 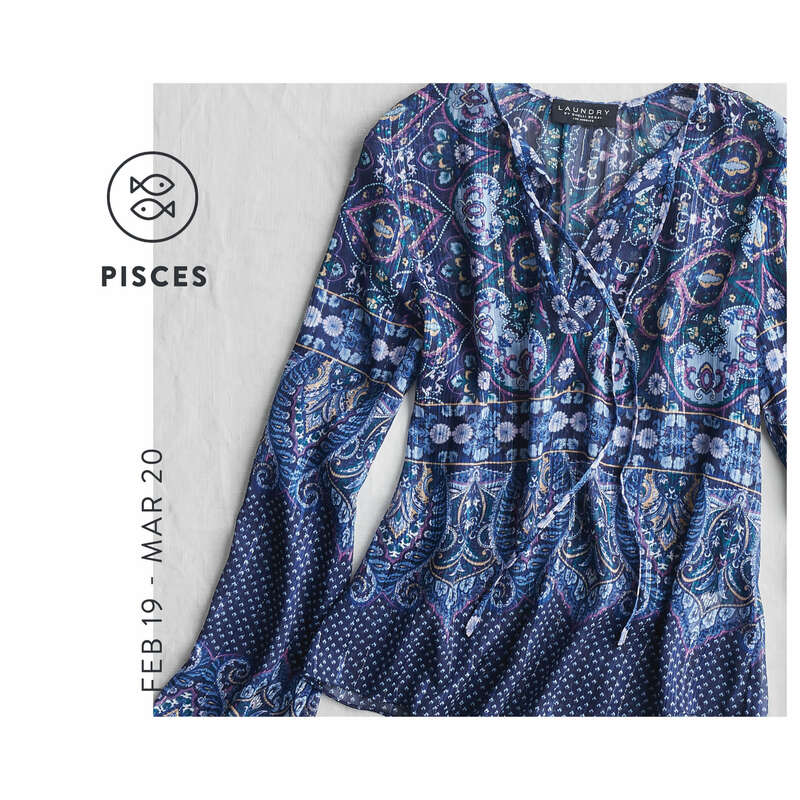 Here at Stitch Fix, we can’t tell you when your next raise will be, or when that special someone will enter your life, but we can make some spot-on style recommendations for 2019 based on your Zodiac sign—after all, we’re already in the business of matching you with the perfect looks. Keep reading to see what styles are on the horizon based on your sign. 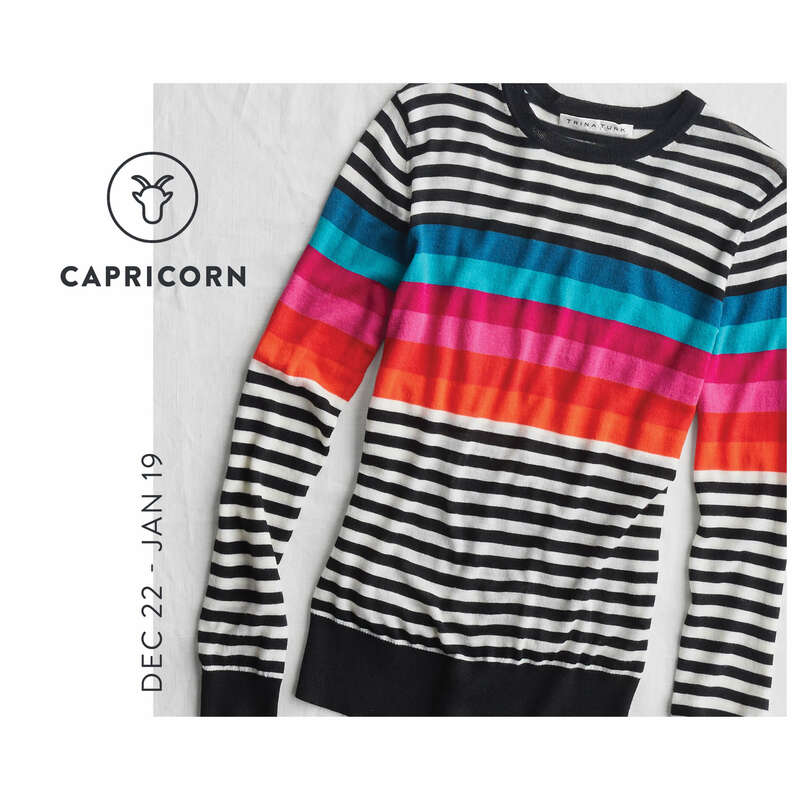 Capricorns are all about classic pieces with a twist—which makes sense since your sign is rockin’ out in the depths of winter when clothes tend to be a little less trendy. In the new year, update tried and true basics with a little something extra. To try in 2019: Find a classic piece you love—with the added style bonus of bold pops of color. 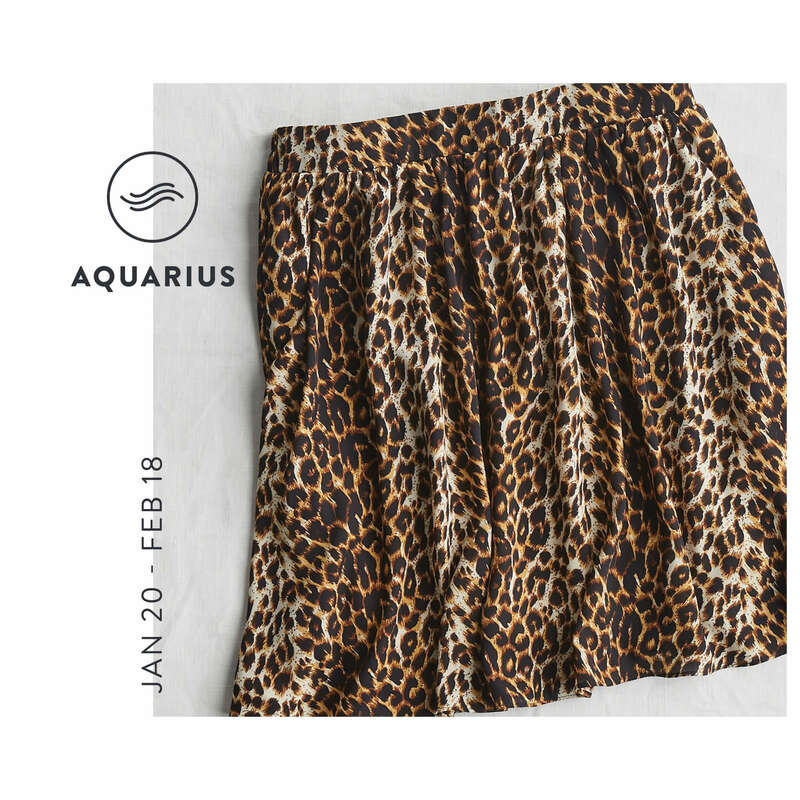 Aquarians love walking on the wild side and experimenting with bold prints and colors to reflect the intense part of your personality. It’s all about basking in the spotlight, so use your unique personal style to soak up the much-deserved attention. Shine on, Aquarius! To try in 2019: Animal prints in luxe-looking fabrics are striking—and so fun to wear and pair. Pisces is free-spirited and fun-loving. Not only do people gravitate towards your good natured humor, your love of life and warm personality, but they have serious style admiration for you, too. Always one to be eye-catching (but never over-the-top), it’s all about an easy-breezy vibe to this year’s wardrobe. To try in 2019: A flowy top in a rich color and subtle print helps express your laid back style. 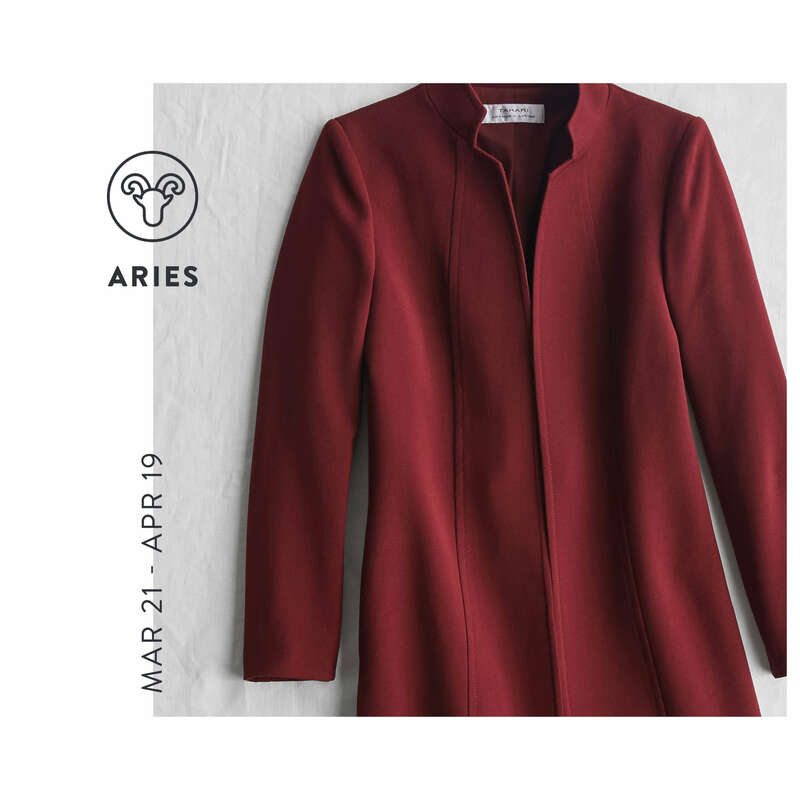 Aries can go from 0 to 100 quickly—but it always looks good. You love streamlined modern pieces that give you confidence. You’re the chameleon of the fashion world! This year, focus on basics so you can keep up the good work. Better yet, choose a “power piece” (or even a power suit) this year. To try in 2019: A chic coat in a rich color will make sure you look put together coming and going. 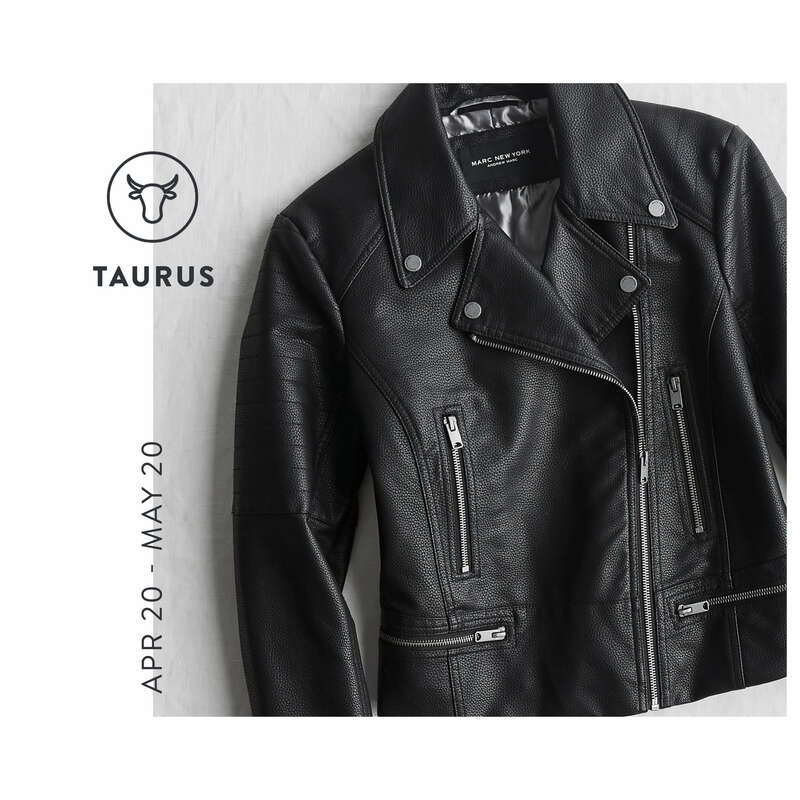 A Taurus is always fashion-forward and isn’t afraid to be the stylish stand-out with bold pieces and accessories. This year, look for wow pieces with impact that stand the test of time. Whether it’s for a classy affair, or your typical 9-to-5, own your style and reap the rewards of confidence. To try in 2019: A classic moto with a bit of edge will toughen up frilly dresses, jeans and more, for years to come. 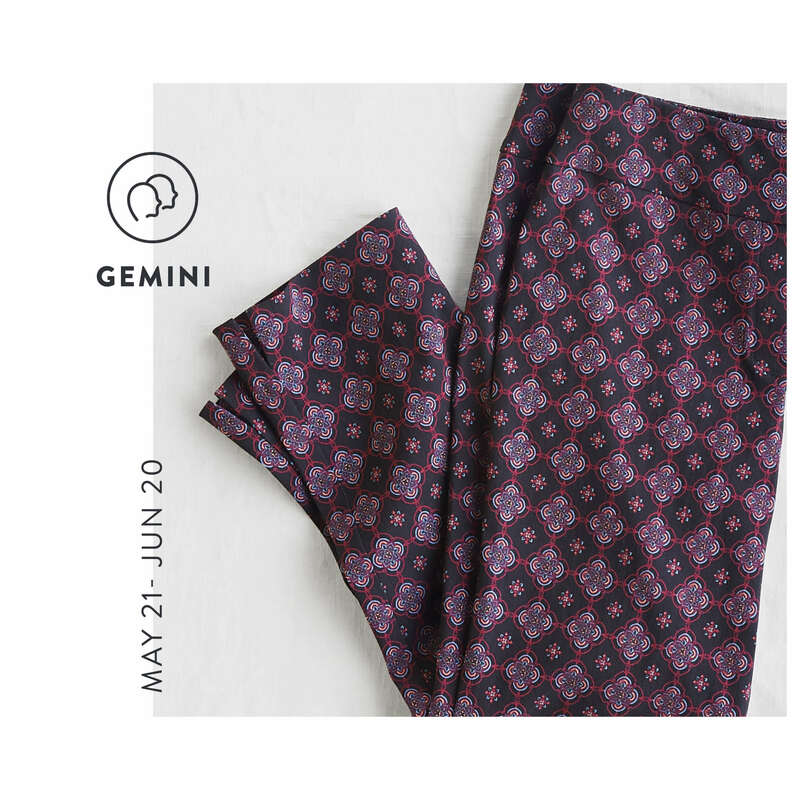 Gemini is a risk-taker who reaps major sartorial rewards. Everyone asks, “What are you wearing?” and, “where did you get that?” To maintain your stylish reputation, this is your year to take bold pattern mixing, volume and silhouette experimentation to the next level. To try in 2019: Boldly patterned pants are more versatile than you think—pair with a solid top or mix it up with another print. 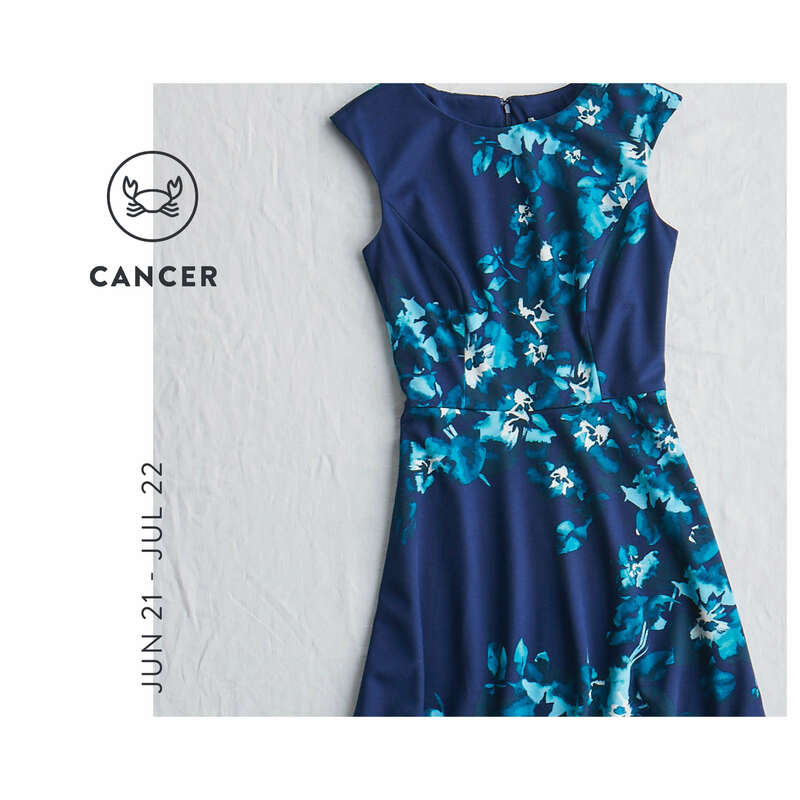 Cancer is always poised and polished 24/7 with a refined sense of style. You’re a sophisticated, classy dame, with an eye for clean lines and a timeless, classic appeal. This year, challenge yourself by wearing a print that may be a tiny bit outside of your comfort zone. To try in 2019: Feminine dresses in wildly romantic prints walk the line between classic and up-to-the minute. Leo never backs down from an eye-catching piece. Fearless, they are the most loyal of friends—and someone you want in your #stylesquad. 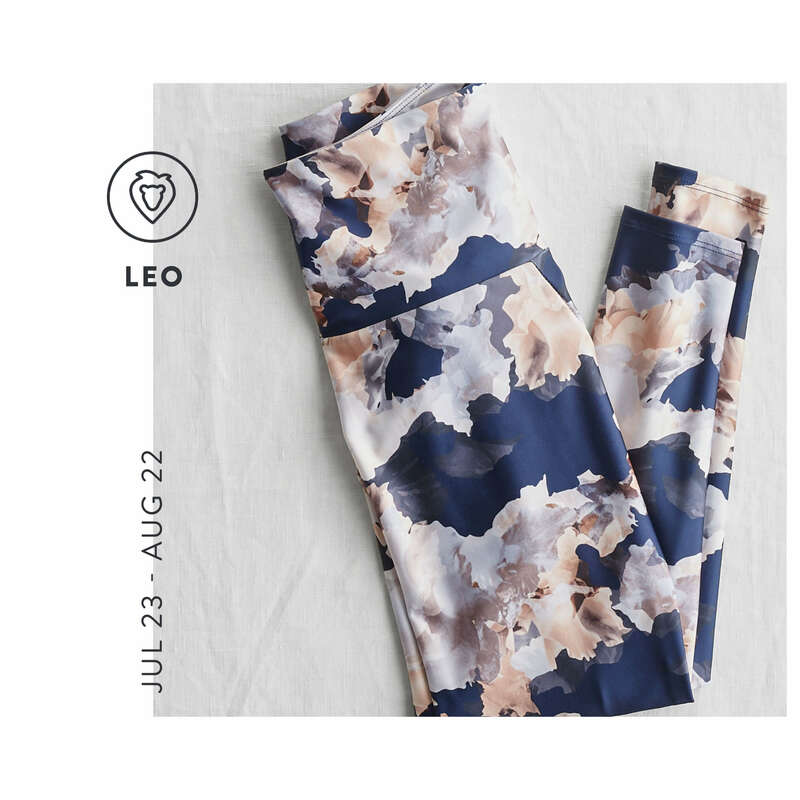 Hey, Leo, let your creativity, passion and zest for life, love and attention translate into a bold new wardrobe. To try in 2019: Bring your boldness to every part of your life—including your workout—with fabulous florals. Virgo knows how to work strong points. Channel your style know-how by adding something unusual to your closet. Always polished and grown-up, you have a way of dressing that says “look at me,” but is never overdone. Your subtle style restraint results in your signature, ladylike look this year. To try in 2019: A lacy, feminine piece is a true Virgo classic—this year get one in a bold, new color. 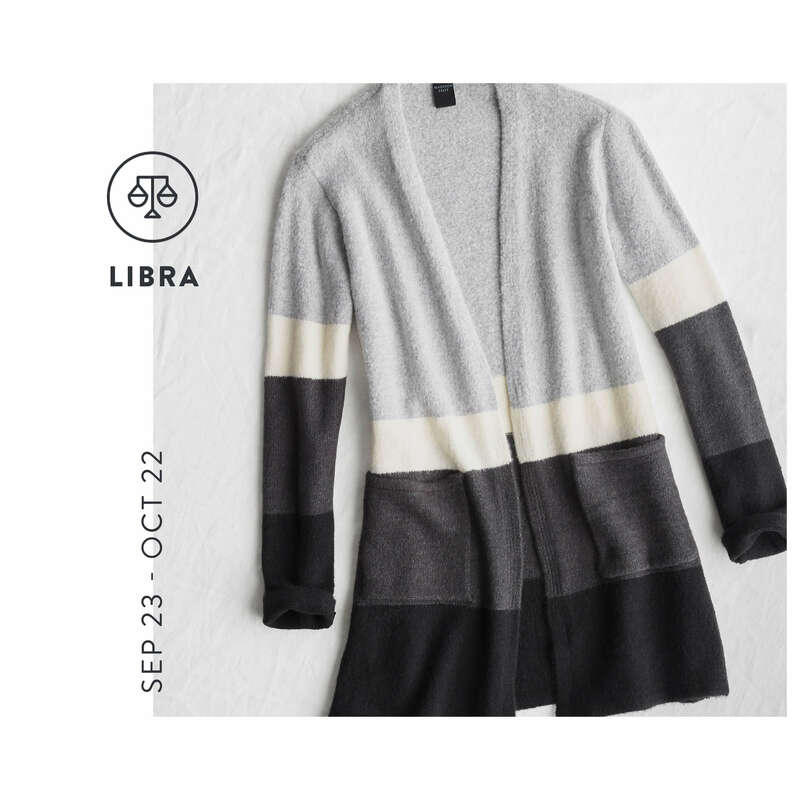 Libra, you take your classics with a side of edge. Ever the wild child, Libras are never afraid to go to the dark(er) side of their closet. Greys, blacks and navys are staples in your wardrobe. Offset those clean lines with a bit of softness—like a lace or velvet blouse. To try in 2019: Go for something in your tried-and-true neutrals—in a fresh, modern color blocking pattern. Scorpio is one of the most mysterious signs in the Zodiac, and you take this quality into your style. You’re a creature of habit when it comes to getting dressed, so keep your favorites close this year. Don’t be afraid to add in a splash of something unusual to your closet. To try in 2019: Denim rut? 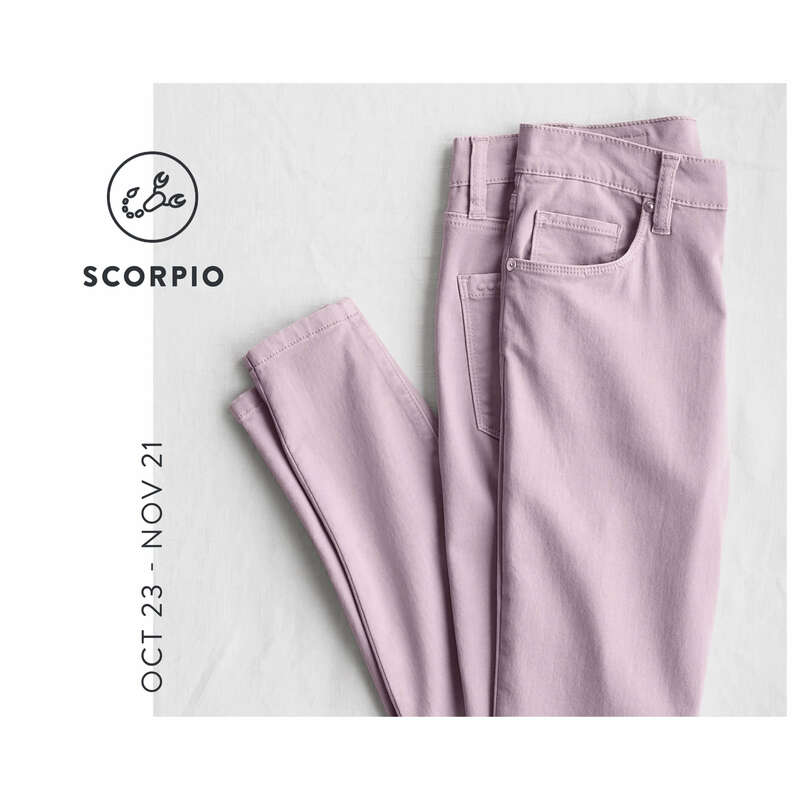 Break out in true Scorpio style by adding some pieces in fresh colors to your closet. 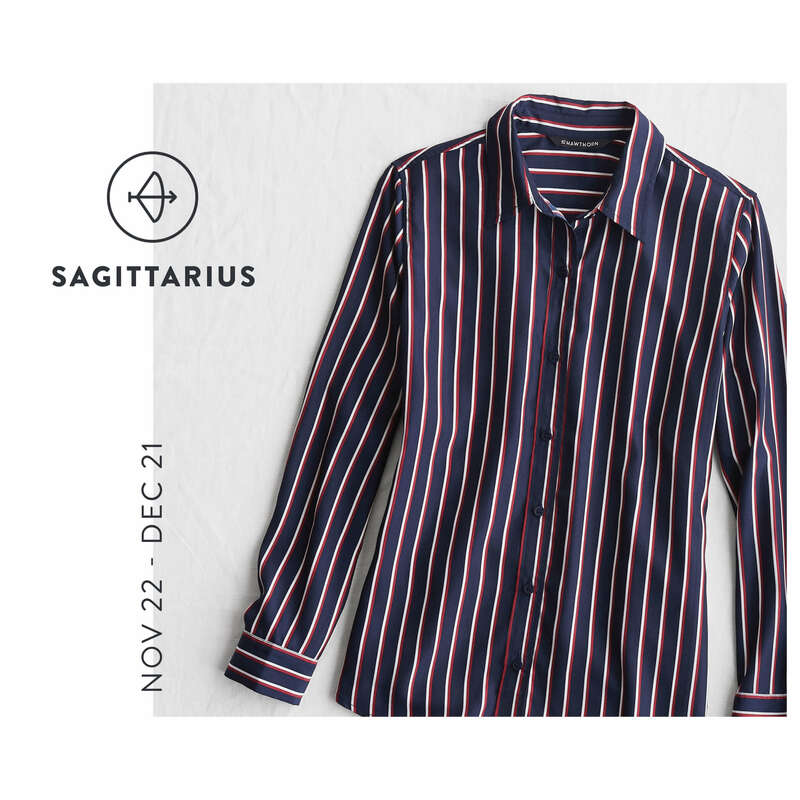 Sagittarius, you’re always buttoned-up in your best pieces. Your style is a little bit feminine and a whole lot classic, so hone your penchant for polished and unfussy style with clean silhouettes in the new year. Then, push your style boundaries by adding in brave (and bolder) silhouettes and statement accessories. To try in 2019: Button-downs are one of your style staples—this year break out and wear one in a vivid color or print. Ready to take a style cue from your sign? Schedule a Fix and tell your Stylist what you’d like to see in your Fix!